I learned this fabulous recipe from my husband.This is an easy recipe and it tastes good. I used basmati rice, you can use any rice or other cooked millets of choice. 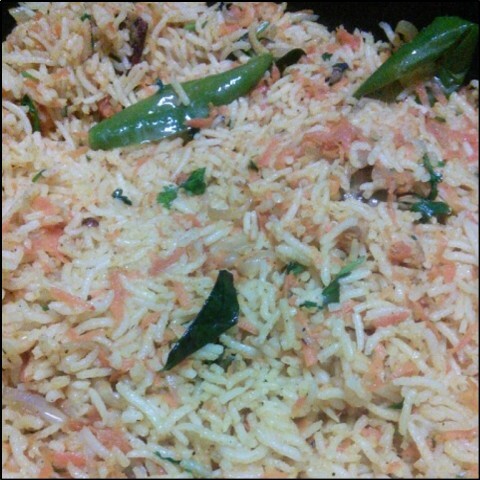 The grated carrots in the rice look super pretty. 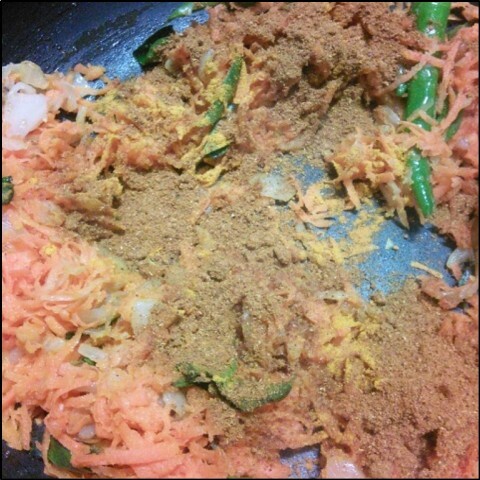 The pre cooked rice mixed with the mixture of spices, ginger garlic paste, fresh carrots and finally the lemon juice. Try this recipe for your kids lunch box. 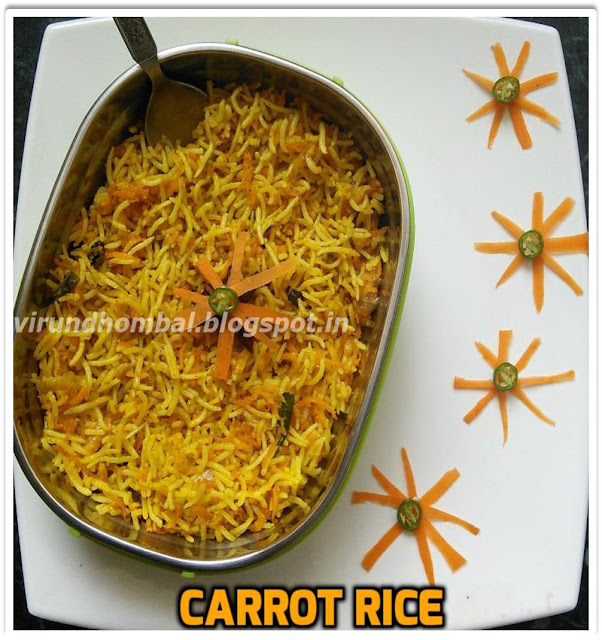 Introduce them to a colourful and healthy carrot rice and skip them the old boring rice varieties. 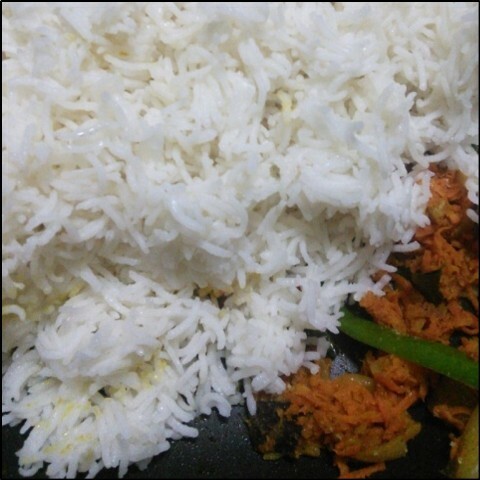 Definitely they will enjoy this rice and it is also the best way to include carrots for them. 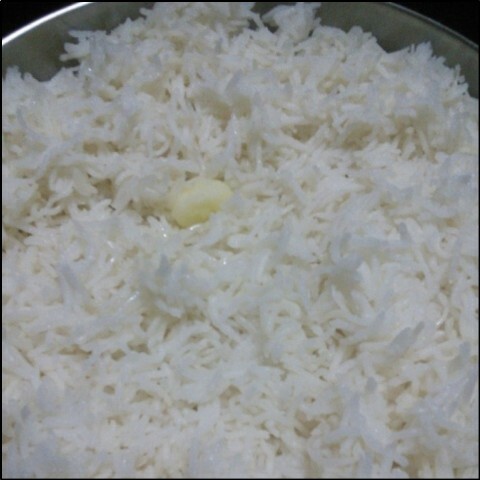 When you pack the rice top it with some fried cashew nuts or any other nuts. Don't forget to add the lemon juice because it is the secret ingredient in this recipe. Don't want to add any water while sauteing the carrots because the carrots cook with the moisture in it. You can also serve this rice with any light gravy if you prefer. 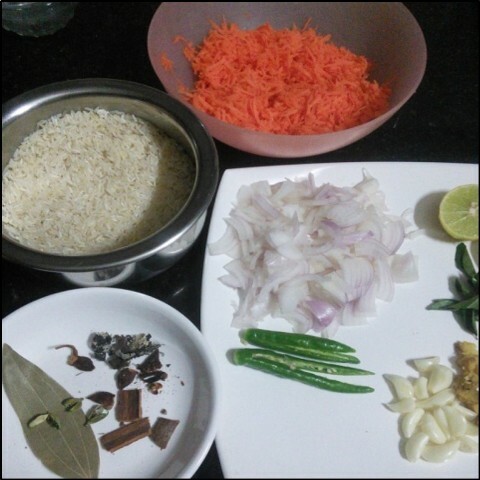 Now let's see how to prepare this Carrot rice with step by step photos. 1. Wash the rice gently and soak for 20 minutes. After 20 minutes, drain the water completely. 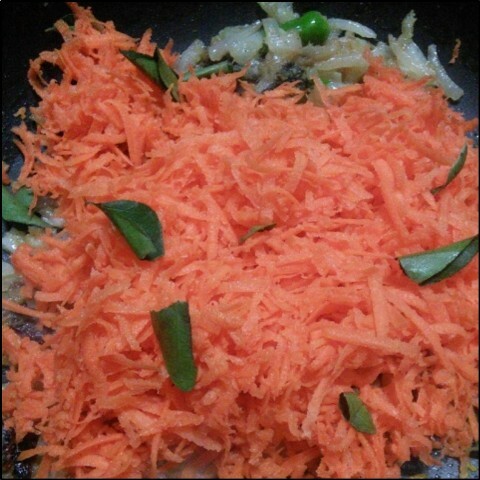 Grate the carrots, slice the onions and slit the green chillies. 2. Take a pressure cooker and add 1.5 cups of water and the rice. Keep in low and pressure cook for 1 whistle. Allow it to leave the pressure naturally. 3. 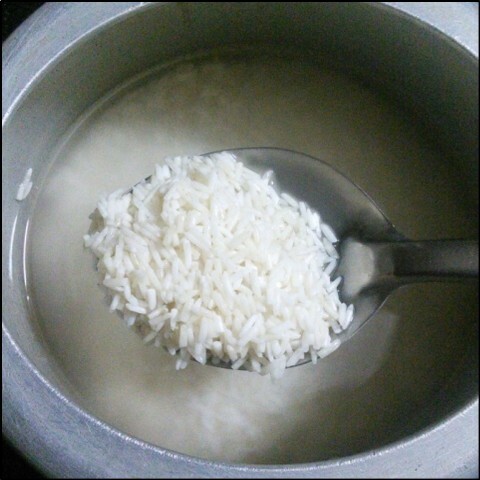 In a bowl or plate spread the cooked rice and add a drop of ghee over the rice. Allow them to cool completely. 4. Heat oil and ghee in a large kadai over medium heat. Add the bay leaf, cinnamon, cloves, kalpasi, star aniseeds and cardamom and let them pop for a few seconds. 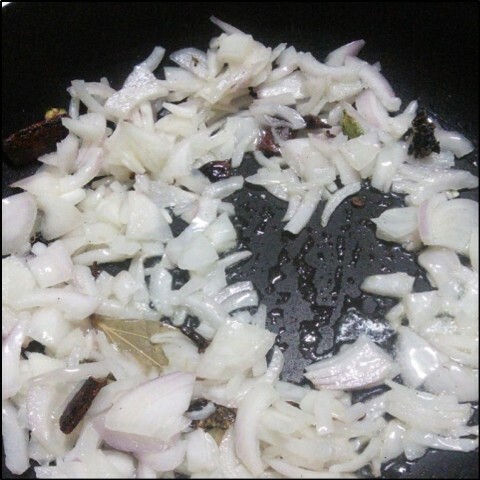 Then add the sliced onions and saute it for few minutes. 5. Next add slit green chillies. Saute them for 3 to 4 minutes and add the ginger garlic paste. Stir it continuously for a few minutes. 6. When the raw smell of ginger, garlic disappears add the grated carrots and curry leaves, saute them until it reduces in volume. 7. Then add the turmeric powder, chilly powder, garamasala powder. 8. 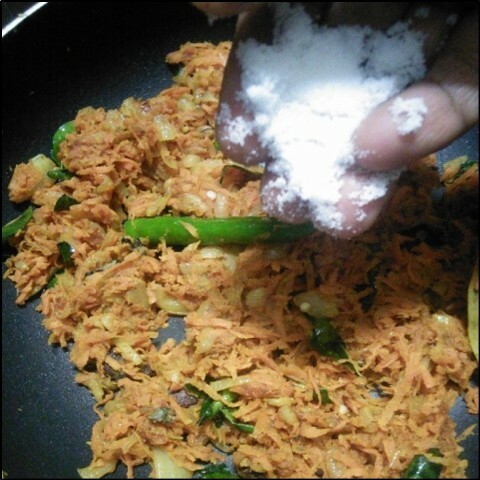 Now add the required salt and stir while adding masala powder so that the grated carrots are uniformly cooked. 9. 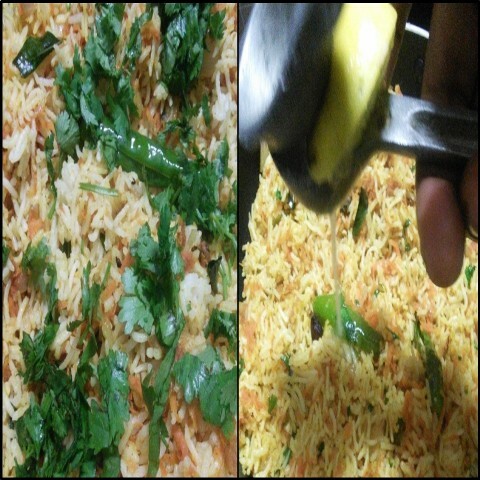 Now add the rice and stir for few minutes till the masala has coated the rice well. 10. Finally add the coriander leaves and lemon juice. 11. Mix them gently and pack it for the lunch boxes with a crunchy veg salad. 1. 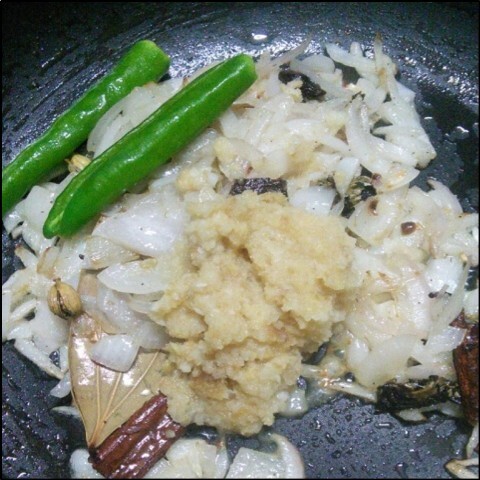 Always use fresh home made ginger garlic paste in any type of dishes for the nice aroma. 2. After adding rice, mix it quickly and keep it undisturbed for 30 minutes and close it with a lid for the nice flavour. Thanks Akshaya. Glad to see your comments.